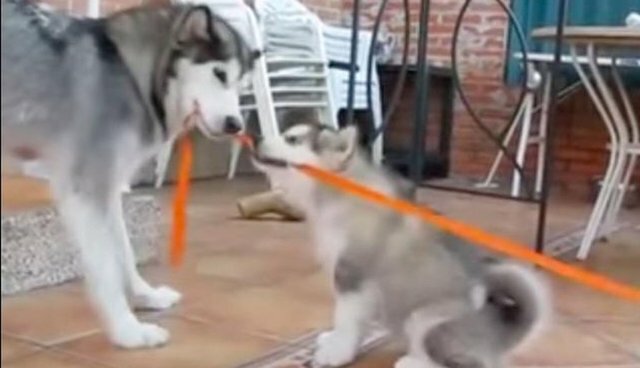 This husky mom was caught on video playing the most adorable game of tug-of-war with her fuzzy passel of pups. 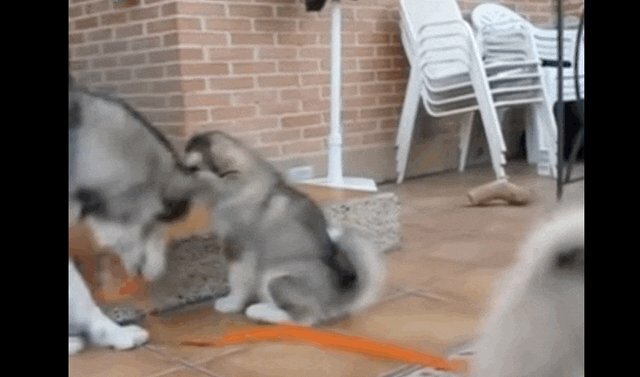 It's Mom on one side, all the puppies on the other. 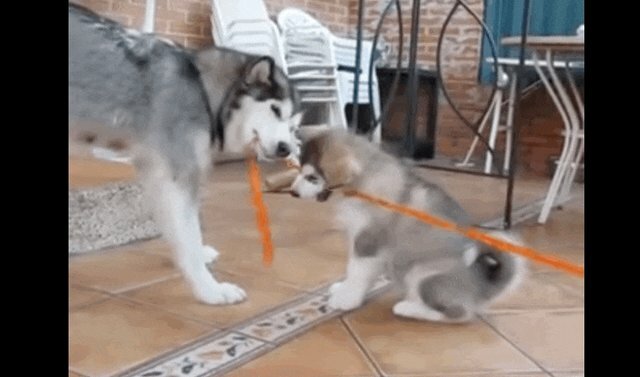 They're putting up a good show against Mom, though. But they've still got a lot to learn. "This is how it's done, kids." 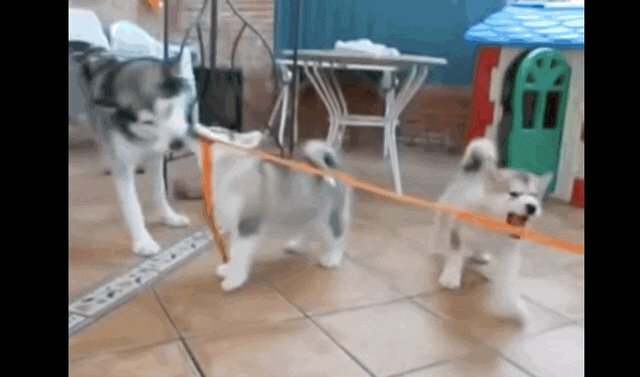 And she's not even the only husky mom in town who organizes playtime for the whole family.